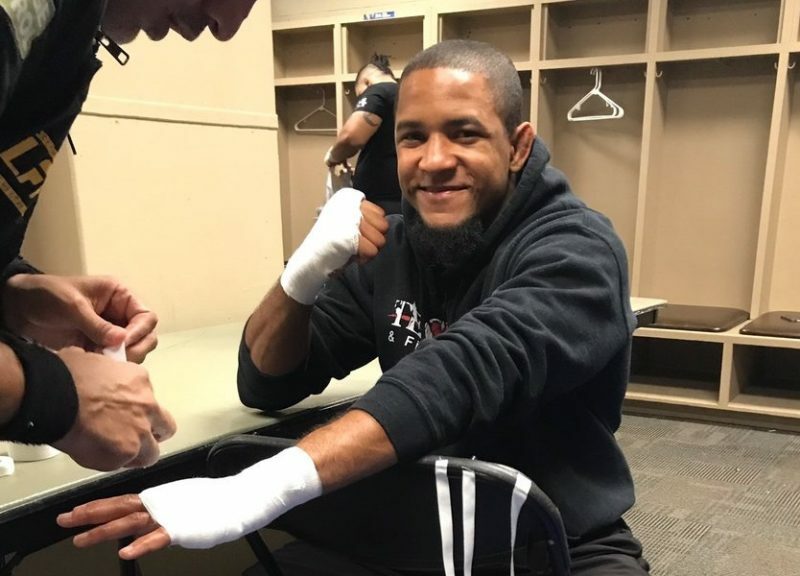 For Michael Johnson, the fight in Philadelphia is a second chance to make an impression as a top featherweight; his first outing at 145 pounds simultaneously went well and poorly, but that’s the story of many of Johnson’s losses in general, and it left him in no man’s land. Johnson since went on a winning streak for the first time since 2015 (when he was a rising lightweight prospect). Now a well-esteemed veteran with experience against some of the best to ever fight, “The Menace” has earned another crack at a ranked opponent at his new weight class and looks to make as big an impact as he did at lightweight. Josh Emmett is the red corner in this fight, but he’s far less proven against elite competition than his opponent; Emmett needs a well-regarded win to remain in the mix, having climbed as high as #4 in late 2017. 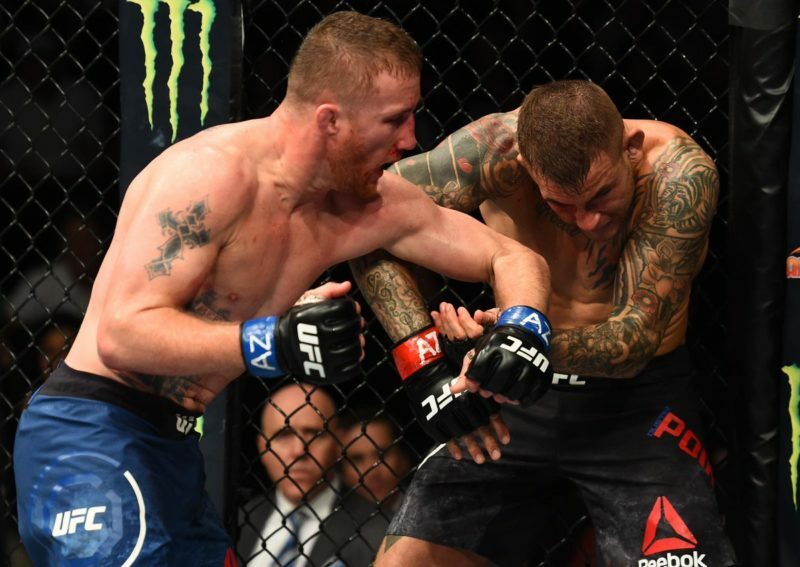 Emmett’s short-notice knockout of Ricardo Lamas rocketed him up the rankings, but it didn’t exactly cement him as a top fighter at a stacked weight class, and the subsequent loss to Jeremy Stephens weakened his position considerably. Having healed up from the Stephens fight, Emmett looks to put Johnson away and stay top-10. Michael Johnson has proven a tough fighter to trust, but a harder one to pick against; while it’s difficult to know what sort of performance to expect from him, the skillset that MJ possesses makes him dangerous at every point. 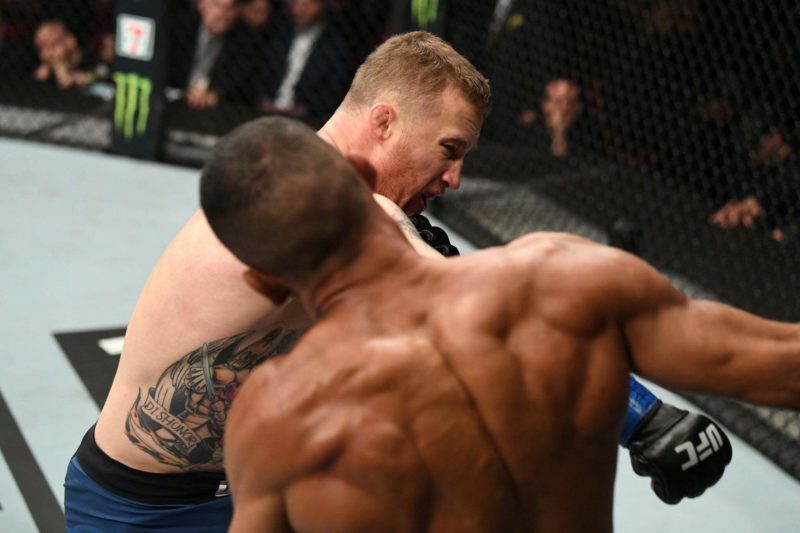 Johnson’s career has been marked by unique volatility, not just from fight-to-fight but from moment-to-moment; Johnson isn’t just the fighter who sparked Dustin Poirier but lost to Darren Elkins, he’s also the fighter who was beating Elkins down until he just suddenly wasn’t there anymore. MJ has claimed to have fixed his issues in that area, and that’s a scary possibility for the weight class; while “The Menace” isn’t a perfect fighter even at his best, he’s proven a tall task when he’s ready to go to work. 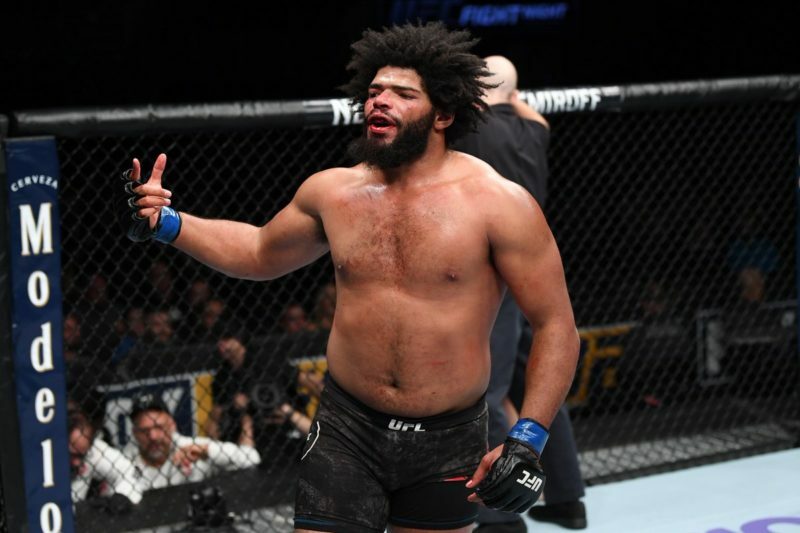 Johnson started his UFC tenure as a wrestler, but his time with Henri Hooft has turned him into one of the more dangerous strikers at the weight class. Johnson is a defined outfighter, which works for him; he isn’t too hard to pressure but it isn’t terribly easy (he moves laterally reasonably well, and he uses a straight to the body well to keep his opponent from crowding him), and he has great counterpunching in the pocket (largely a southpaw 3-2, but his hand speed is truly incredible and mostly allows that to work without a ton of nuance). 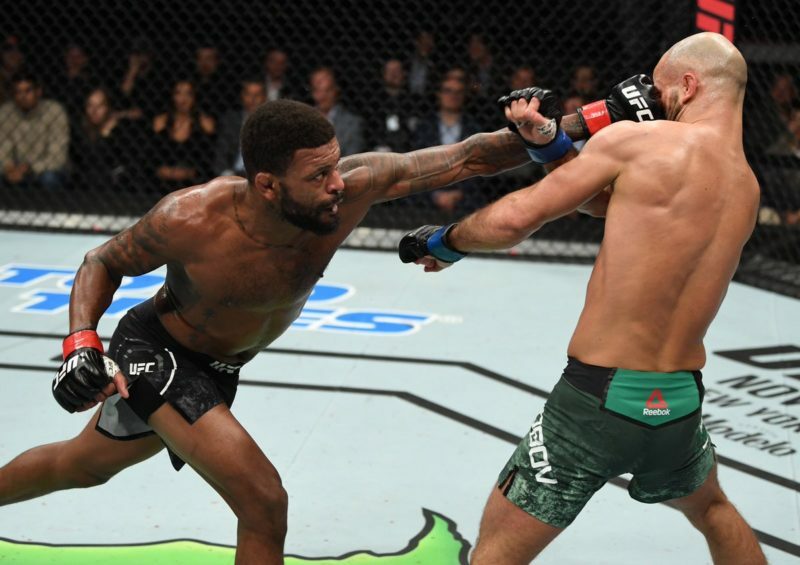 However, Johnson’s best all-around showing was against Edson Barboza, who he dominated while fighting against type as a pressurer; Johnson was unexpectedly sound on the front foot, applying most of his outside weapons well in a new role. Johnson established the jab/straight early to push Barboza backward and feinted into range to draw out Barboza’s kicks, and did a generally good job cutting off Barboza against the cage. This was not only done with his footwork (where he did a great job staying in front of Barboza), but also with his strikes; Johnson used a long rear hook to cut Barboza off as he tried to circle, found a few right hooks as Barboza tried to get out the other way, and showed an underrated kicking game (mostly the inside leg kick to knock Barboza out of stance and immobile, at which point he stepped in with the left). It was an impressively relentless performance, the best one of Johnson’s career. What has plagued Johnson since that fight has (broadly) been two things: weak grappling from the bottom and a suspect mental game. 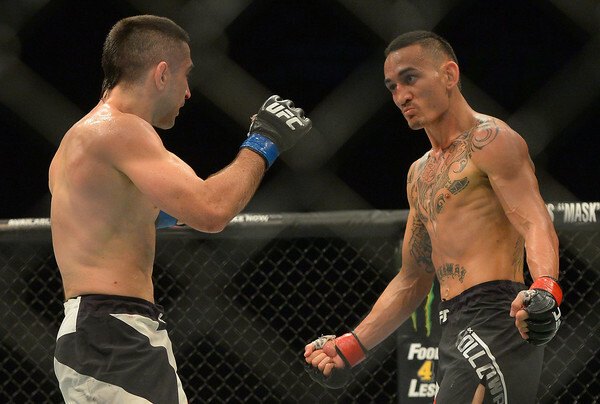 The former got him battered by Khabib Nurmagomedov and submitted by Darren Elkins (as well as several others earlier in his career, although his takedown defense is decent), and the latter has caused a few key points in fights not to go his way. Johnson has historically been a bit of a focus threat, as he seemed to phase out of the fight against Elkins after 10-8ing him for the first round and pulled a guillotine on Nurmagomedov where the bottom was the last place he wanted to be. 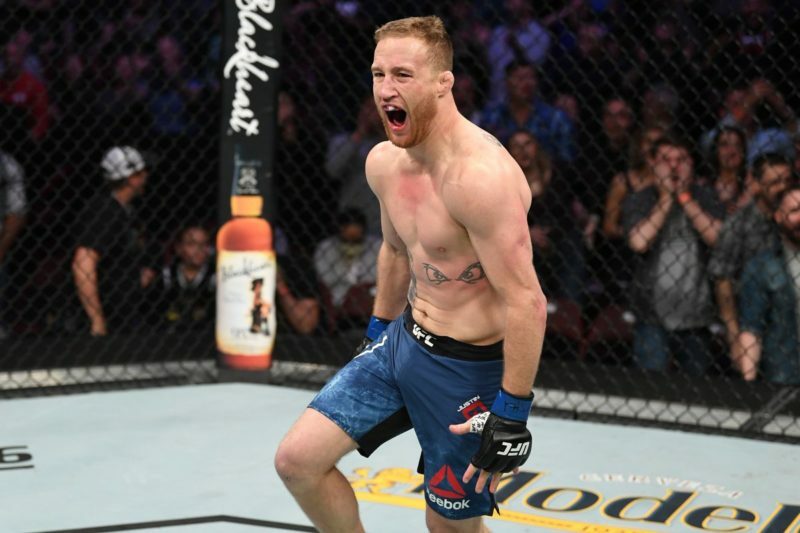 In general, Johnson’s intangibles have cost him his recent fights; he showed quite clearly that he had the ability to badly hurt Elkins and Gaethje, but he couldn’t keep himself composed enough to finish the job. While he’s acknowledged that and put together a dominant 15-minute performance against Artem Lobov, Lobov is a far cry from the elite; assuming the Emmett fight goes long, it will be an opportunity to see how much Johnson’s genuinely improved on his weakest attribute. 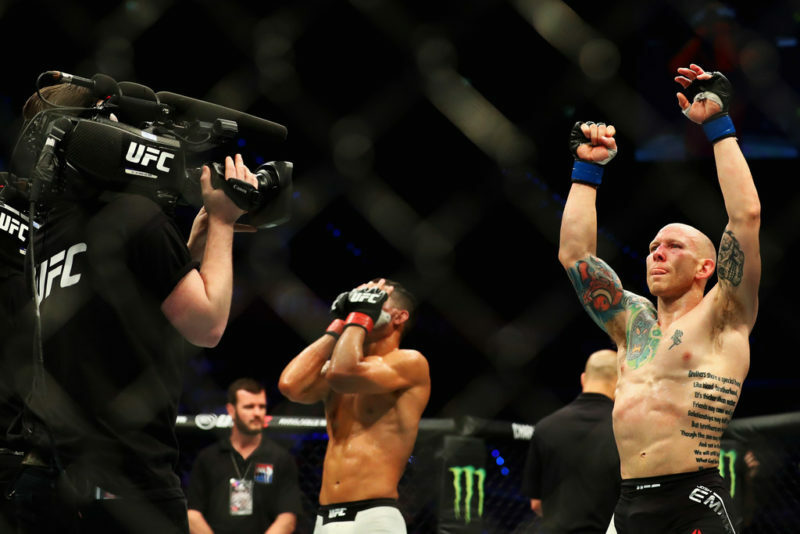 Josh Emmett’s game isn’t particularly tested against top fighters like Johnson’s; Emmett has faced two opponents who could be called “elite”, but one ended before too much of his game could be discerned. The Jeremy Stephens fight was somewhat encouraging in the sense that he dropped the perennial top-5 gatekeeper, but overall, there isn’t a great gauge of how Emmett fares against the elite the way there is for his opponent in Philadephia. The fight against Johnson gives Emmett a chance at a triumphant return after a career-altering knockout loss, and also gives him an opportunity to cement his position among the top 10 featherweights. What Emmett had leaned on to beat his pre-elite opponents and Ricardo Lamas was raw athleticism; Emmett is extremely quick at closing distance and launching his combinations, which gives him a fighting chance against any opponent, and he had the power to drop Felipe Arantes through his guard repeatedly. Emmett seems more comfortable playing the outfighter than consistently coming forward; his game against Lamas and Stephens was mostly to circle the outside and explode forward with power hook combinations (and while Stephens kept to the front foot, Emmett had opportunities to push forward against Lamas but only did so in bursts). Emmett feints entries often, and is a decent counterpuncher if his opponent rushes him on the outside; he was able to slip the jab of Lamas to find a right hand at one point, and dropped Stephens by parrying the uppercut and sneaking a right hand in his path. On the minus side, Emmett has been consistently hittable when he swings; Stephens was able to deal damage when he just planted and swung with Emmett in the pocket (and eventually finished Emmett with a left hand on Emmett’s exit as Emmett backed straight out), and Desmond Green was also consistently able to find counters as Emmett stepped in. The biggest factor of this fight outside of just skills is on Emmett’s side; off one of the most brutal knockout losses in MMA history requiring surgery and extensive rehabilitation, Emmett has had over a year on the sidelines, and his opponent coming back is a very dangerous striker. A win over Michael Johnson would be a statement to 145 that Emmett is there to stay. There’s very little to learn from Emmett’s fights against elite opposition, but from what can be seen, Emmett doesn’t seem to have the traits that have historically made Johnson self-destruct. His wrestling background has been mentioned on commentary before, but he doesn’t use it much (and he’s not much of a top-control grappler); for the purposes of this fight, Emmett is likely a pure striker, and he doesn’t really have the polish in the pocket to consistently beat Johnson there. Even Stephens’ more cumbersome swings tagged Emmett in the exchange, and Emmett hasn’t shown the tools at range to compete with Johnson either; while Johnson can box on the outside with his 1-2 and probably win the kicking game, Emmett’s entire game against elite fighters has been “explode into the pocket and scare guys with power”. Johnson doesn’t have a particularly deep game, but coming at a capable counterpuncher with gigantic telegraphed swings shouldn’t be a consistently winning strategy. Emmett has the firepower to make this fight a close one on paper, and MJ could always collapse in heretofore-unseen ways, but this should be Johnson’s fight to lose. Prediction: Michael Johnson via KO (Round 1). This writer caps Johnson at -170. Long-time MMA fan. Catch my (incomplete) betting history at betmma.tips/sriramsays.